I'm proud to say that Team MS Team FedEx just finished another successful bike tour. My coworkers and great friends, Ben and Rachel joined me once again and the team, consisting of 18 riders, has raised $4,955 so far this season. Danny and Marilyn weren't able to ride with us this time, but graciously allocated their donations to Ben and Rachel so they both had enough to ride. 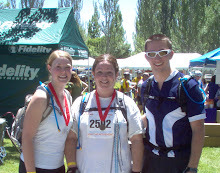 We completed the 40 mile route again this year, and had a great time doing it. 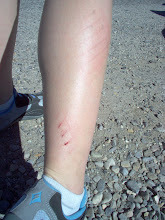 Rachel got a little road rash as a souvenir, which I guess beats the painful sunburn she took home with her last year. I'm so thankful for the wonderful friends and family who support me with this...I love you all and wouldn't be able to do it without your help! You guys rock...way to go!